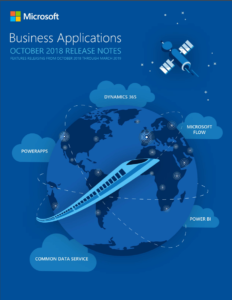 The second of Microsoft’s bi-annual major updates to Dynamics 365 is due imminently, and Microsoft have provided release notes covering changes to D365 and the rest of their Business Applications. The official guide is a hefty 249 pages, though, so to give you a quicker insight I thought I’d focus on some of the changes and new features that peaked my interest. As with all pre-release information, some of the described functionality may change! More and more of our customers are using Microsoft Teams and it’s also quickly become the backbone of my working life. The October ’18 release promises a tight integration with this powerful collaboration tool and will allow Users to connect a Microsoft Teams channel to any Dynamics 365 record, providing a central location for discussion and document sharing. Pools are also a new addition, allowing schedulers to book requirements to a generic pool without needing to decide which resource will actually perform the work. Similarly, the new Crews concept also allows resources that are always together to be grouped, and scheduled as one unit. Business Process Flows are a great tool for guiding Users on what information should be gathered or steps taken next. Now it will be possible sliders, switches and other custom controls to be utilised in these guided process flows, making them even easier to use and more visually engaging and ergonomic. A small new addition but one that I’m especially pleased to welcome is the ability to configure rules between option sets so that the values shown in one are dynamically filtered based on the value shown in another. For example filtering a “City” option set based on the selected “County” option set value. It’s a simple but useful feature that I’ve always missed from the D365 toolbox. The Dynamics 365 Portal is proving increasingly useful for meeting our customers’ requirements and a welcome new feature is the announced support for SharePoint. This feature extends document management capabilities of Dynamics 365 applications to portals and means that documents associated with entity records can be managed by portal users. Portal Users will now be able view, download, delete and add documents to and from sharepoint folders, as well as create new folders. 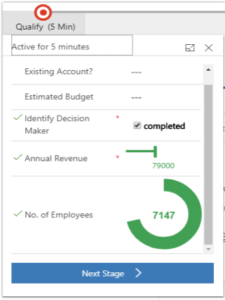 Dynamics 365 AI for Sales provides prebuilt and embedded insights that are quick to deploy and easy to act upon. For example, the “Who knows whom” connections graph allows sales Users to can easily identify colleagues who can introduce them to leads or contacts, potentially increasing sales performance and lead-to-opportunity conversion rates. “Talking Points” help busy salespeople by looking at their past communications to extract key details about the customer or contact on topics such as sports, health, family, and entertainment. These topics help salespeople in starting a conversation or building rapport with customers with whom they have not spoken recently or never met face to face. Predictive Lead and Opportunity scoring also help identify the key influencers on conversion, in turn making it easier to take meaningful actions to increase sales. 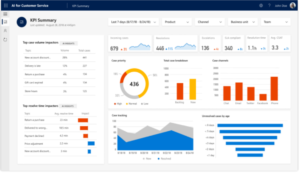 Dynamics 365 AI for Market Insights uses several social data sources and feeds, including Twitter, blogs, Instagram, forums, and others to provide visibility and insights into how a brand is doing in the social sphere across various dimensions like sentiment, geography, and others.